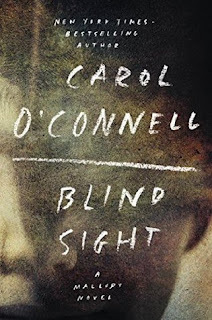 A blind child and a Catholic nun disappear from a city sidewalk in plain sight of onlookers. There, then gone - vanished in seconds. Those who witnessed the event still cannot believe it happened. It was all too real. Detective Kathy Mallory and the NYPD's Special Crimes Unit enter the investigation when the nun's body is found with three other corpses in varying stages of decomposition left on the lawn of Gracie Mansion, home to the mayor of New York City. Sister Michael was the last to die. The child, Jonah Quill, is still missing. Like Jonah, the police are blind. Unknown to them, he is with a stone killer, and though he has unexpected resources of his own, his would-be saviors have no suspect, no useful evidence, and no clue - except for Detective Mallory's suspicions of things not said and her penchant for getting to the truth beneath lies. Behind her back, the squad's name for her is Mallory the Machine, yet she has a dark understanding of what it is to be human. A child is waiting, time is running out, and atop her list of liars is the mayor himself... and a theory of the crimes in which no sane cop could believe. 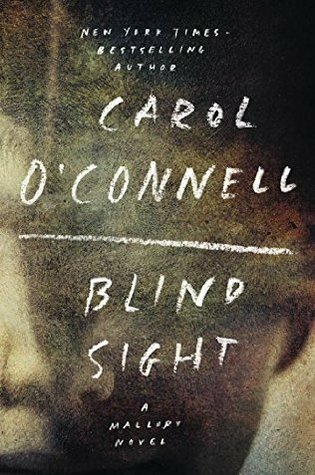 Blind Sight by Carol O’Connell is a 2016 Headline publication. 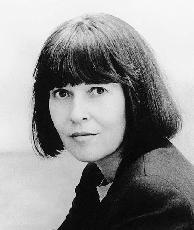 ‘Mallory the Machine’ might be the most interesting female protagonist in crime fiction. This twelfth installment in the Kathy Mallory series showcases Mallory’s .., er… unique personality as she plows through a grisly crime scene in which several bodies have been dumped at the mayor’s residence, with their hearts removed. To make matters even more perplexing, a nun with a very colorful past and her blind nephew disappear, possibly kidnap victims, who could be in the clutches of a cold blooded killer. This dark crime story, told with O’Connell’s razor sharp dark humor, compliments Malloy’s odd investigative techniques, as a lurid and political crime story unfolds. There is certainly a human element to the story with a young blind boy at risk, and the race against time is palpable. Mallory is in a particularly nasty mood this time around, toying with people for fun, exhibiting a level of rudeness that went beyond her usual impatience and stoicism. Newcomers to the series may not know what to make of her, so reading this one as a stand alone might not be the best idea. I liked the realistic portrayal of a blind person, which did not fall back on stereotypes, and following Jonah’s thoughts as he duels it out with his captor was intense, but made him the star of the show. But, if you are thinking of trying this novel without having read at least a couple of the previous chapters in the series, I would suggest waiting until you can catch up a bit before tackling this one. If you are following the series, or at least familiar enough with it to understand the characterizations, and so forth, then, you will not want to pass up the chance to see what Mallory is up to and what kind of mood she might be in this time around. Born in 1947, Carol O'Connell studied at the California Institute or Arts/Chouinard and the Arizona State University. She lives in New York City.